Well, this is a weird one! 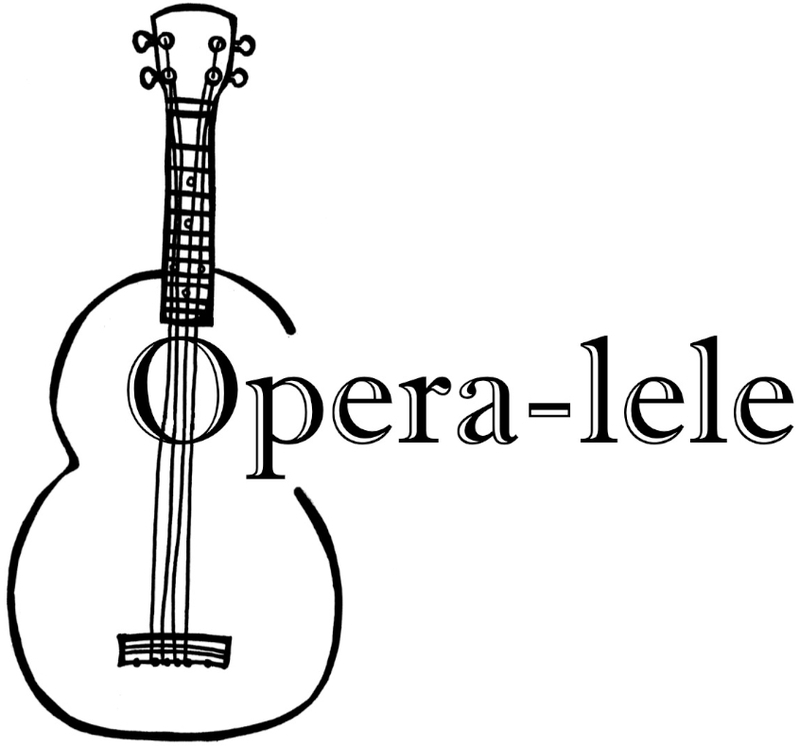 In their own words "Opera-lele is an opera/ukulele crossover act specialising in opera, light opera and musical theatre music accompanied by the emotionally powerful yet understated twang of the ukulele." That sums it up. It's original, that's for sure. The Ukulele Orchestra Of Great Britain have a knack for taking unusual songs and transferring them to the ukulele, but this does take the biscuit. They 'cover' (is that the right word here?) classic opera songs, transferring them to the ukulele, but without trivialising the song. Both George Bartle and Amanda (Mandi) Harkett are trained singers, and their note perfect renditions of the songs we can all at least hum along to wouldn't be out of place at the Last Night Of The Proms. What seems to be their signature piece "Funiculi Funicula" is great fun. It's about a funicular railway, of course. Being a luddite, I have little idea after that (do they speak of a cup of tea during it? ), but the words themselves have a great rhythm that lends itself to being transferred to a ukulele. The playing isn't complex, but being supported by the great vocal, it's no problem at all. This album is something different, refreshing and surprising. If you have high brow friends who don't understand your love of ukulele, get them this album. Nicely recorded with clear vocals. There's also our interview for Cool Cat Ukes for you to watch. Obviously, our favourite is "Duetto buffo di due gatti".